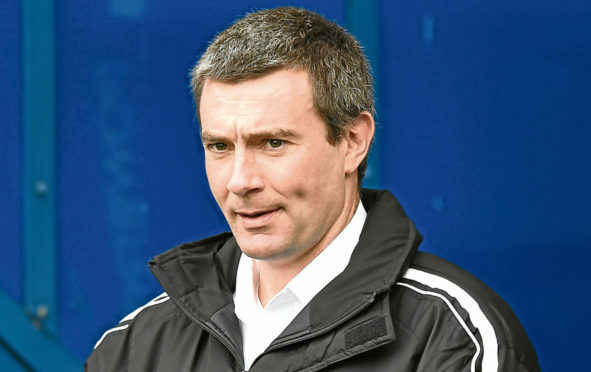 Brechin boss Barry Smith has seen the good and the bad from his players since taking over at the Glebe. Now, he would accept his team winning ugly when they travel to face Alloa in the Scottish Cup today. Smith’s tenure at Brechin started with a 4-0 win over Forfar but that was followed by a 5-1 defeat at home last week at the hands of league leaders Arbroath. The manager admitted he needs greater consistency from his players – hopefully starting this afternoon against Championship side Alloa. Smith said: “I think the biggest disappointment last week was that for as well as Arbroath played, they didn’t have to work hard for their goals. “That was the total opposite of the week previously where we never gave Forfar any room to play in. “We certainly don’t want to go from such a high to a low – we want to be consistent. “You learn more in defeat about the players but it is gone now, we can’t do anything about it and we have to make sure we are properly prepared for the cup game against Alloa. Smith added: “Alloa have added to what they had last year and are a good attacking force. “They are a real threat but we have to defend properly first and foremost and work hard as a team. “If we do that, we will give ourselves every chance. “When it comes down to it, Alloa will go in as favourites based on the fact they are in the Championship. If Brechin are to upset the odds, they will have to do so with a squad ravaged by injury with three more unnamed players rated doubtful. Smith said: “We still have Dene Shields, Paul McLean and Callum Hendry out and we have doubts over three other players so we could be down to the bare bones.